For a child to be able to learn, their basic needs have to be met first. Maslow (1943) proposed a theory that put these needs into a hierarchy with the most basic and essential at the bottom and the most complex at the top.The idea being that each level of needs needs to be satisfied before the child can move up to considering the needs in the next level. 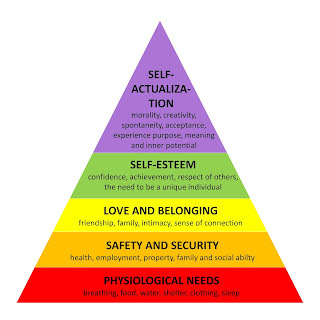 At the very bottom of the hierarchy are the physiological needs. Now, for most people, satisfying these needs is a matter of having enough money and for children a caring adult is essential to provide them. Food - for some children with sensory difficulties they may find eating food very difficult. Or they may find that they can only eat a very small selection of foods easily. It may be that they will eat food and enough calories to grow but that they find eating foods which provide certain vitamins and minerals difficult which could lead to malnutrition or vitamin deficiencies. Water - for some children they may need medical support to eat or drink any substances. Perhaps they have swallowing difficulties and need to have their drinks thickened. Breathing - most people will breathe without considering this but for some children they need medical support to breathe. Another time that breathing might be an issue is actually when a person has had an incident of challenging behaviour and other people have physically intervened to restrain the person in such a way that has obstructed their breathing. People have actually died from this (yes, this is shocking!) and so it is extremely important that anyone working with children or adults who may have challenging behaviours has good training in how to use de-escalation techniques and how to safely physically intervene if it is absolutely necessary. Clothing - for some children their sensory needs can make clothing irritating and also they may not feel the differences in temperature and so not be able to decide on appropriate clothing for the weather independently. For example, some children may take off their coat, jumpers, shoes and socks despite it being bitterly cold outside and other children may refuse to take off their jumper despite it being extremely hot. Usually this is down to sensory difficulties or difficulties with change where the weather may have changed suddenly. Children need support to know what is appropriate clothing otherwise they can overheat or suffer from the effects of the cold. Sleep - for so many of the children I have worked with over the years sleep has been a difficulty. Parents explain that their children do not sleep well, take a long time to get to sleep and get up several times through the night and often extremely early. This means they are not getting the sleep that their peers are getting and it will have an effect on them throughout the day. And this is just the very bottom rung of the hierarchy. As you move up through the hierarchy more difficulties arise with fulfilling our children's needs. 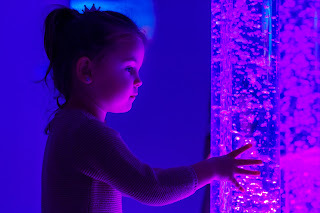 For example, safety, many of our children have limited awareness of danger and as they become bigger and outgrow the safety items we might have used with toddlers but their understanding of danger does not increase it becomes harder to keep the child safe. As we come towards the top of the hierarchy things like self esteem and confidence can be difficult as our children navigate a world where there is still a lot of prejudice and discrimination towards people with disabilities which may damage their self esteem and confidence. All of these things mean that our children need more support with these things than we might give to their peers. It means that as an educator I need to pay more attention to those basic needs than I would when working with their peers. So what things might I do to try and support children to have these needs fulfilled? Food - when it comes to food I need to work hard with children on widening the range of foods they are able to tolerate eating. I can use different strategies to help them but I have to be careful not to put too much pressure on them as that can cause anxiety and the child to reject even more foods. What I might do is have lots of lesson time dedicated to using foods such as cooking lessons. No expectation that the child will eat the foods but lots of experience with the foods and playing with the foods, handling them and getting more familiar with the smell and textures. I can model eating the foods, maybe put the foods onto a big serving plate alongside foods they already like to eat. Modelling eating those different foods helps the child to repeatedly see that it is okay to eat them. And I can introduce foods that are almost the same but just a tiny bit different to what they already like to eat. So for instance if they like to eat crackers which are a crunchy food, maybe I will introduce a dry biscuit which is also crunchy but a bit more crumbly. Then gradually introduce more and more foods that are just that tiny bit different to widen their palate. Water - it's important I ensure that the children I am supporting are drinking enough. This might take the form of frequent reminders and drink breaks. Or for some children it might mean that I need to either be shown or have someone else able to tube feed a child their water or a child might have a thickened drink if they have swallowing difficulties. Whatever it is, I need to ensure I know and follow the medical advice for individual children to make sure that they are having their water needs fulfilled. Breathing - like with the water, if this is a medical need, then I need to follow any medical advice to ensure that a child has any breathing equipment or medication that they may need. It may be something complex that I would need to be trained to deliver, or it may be something less complex such as an inhaler for a child who has asthma. As I said above, there is also the possible situation where adults may need to physically intervene with a child that could cause problems with breathing. It is SO important to make sure that if this is a possibility that you are well trained in how to avoid having to physically restrain by using as many other techniques as possible to support a child to calm and not hurt themselves or others. But if it is absolutely necessary to physically intervene then it is essential that you are trained and know how to avoid any obstruction of a child's breathing. Clothing - with clothing this is about supporting a child to firstly wear appropriate clothing in different weather but also helping them to learn about how clothing changes with the season. This can take the form of using teddies or dolls and dressing them up for different weather. Or using symbols each morning talk about the weather and then use items of clothing to match the type of weather occurring. Sleep - this is really difficult for educators to support children with because the difficulty is often happening at home. However, we can point parents in the direction of advice on how to create a bedtime routine that promotes sleep and in the direction of medical advice if that is necessary. 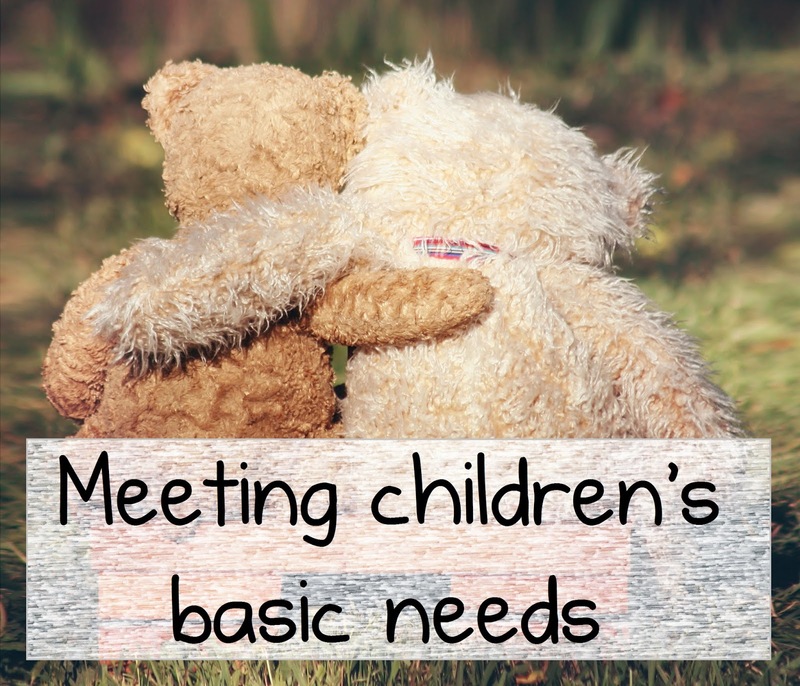 Once we have looked at how to support meeting the basic needs of the children we work with, then we can start looking at the needs further up the hierarchy. We can start thinking about their safety, helping them to be safe and to understand more and more about how to avoid danger and keep themselves safe. We can support them with their confidence and self esteem. But most importantly, we can ensure that the children we work with know that we care for them, they need to feel that they are valued, loved and belong. This has to be a central part of what we do as educators when working with children with additional needs. So you've started working in a SEN school with children with additional needs. Perhaps with different learning difficulties, maybe some physical disabilities, some with autism or Downs Syndrome. And you have had a few incidences of challenging behaviour and are considering how to move forwards and support the child.The behaviour policies where you previously worked or trained in a mainstream school focused heavily on consequences and rewards for behaviours deemed good or bad. But you're not sure whether that is appropriate here, why? You first need to consider: Is this a meltdown or is it chosen behaviour? Which you decide it is will change how you proceed and how you decide to manage the behaviour. 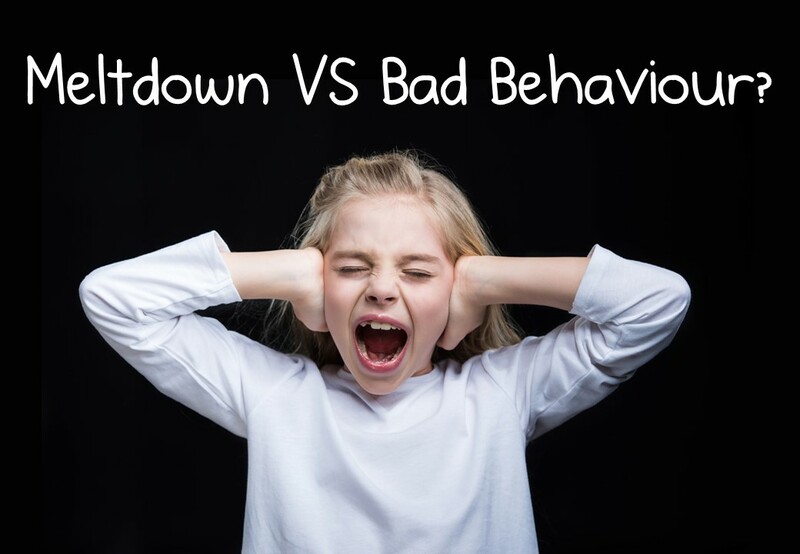 A meltdown is different to a chosen behaviour because it comes about through sensory overload and almost always happens when a child is so overloaded that they can no longer control their own behaviours easily. Imagine that you are in a large cinema, and someone keeps turning up the movie volume. It was already loud to begin with but now it is really hurting your ears. You cover them to try and block out the sound but your friend is trying to talk to you and is getting annoyed because they can't hear the sound and now they feel like you're ignoring them by covering your ears. Suddenly, the lights start to flicker, and then they start to strobe on and off in quick succession so you can't see properly either, and your friend doesn't appear to be able to see this either and is still trying to get you to answer her questions. She gets more and more annoyed at you and at some point you find it all too much so you get up and walk out of the cinema. This is an example of sensory overload, it can happen to any of us in extreme circumstances, but for the vast majority of us as adults we have the coping mechanisms and ability to think through an appropriate response (in this case walking out of the cinema) that will not be seen as challenging behaviour but may be seen as rude (such as not answering a friend speaking to us). This is not the case for children, and is especially not the case for children who have a condition which affects their social and communication skills (such as autism). 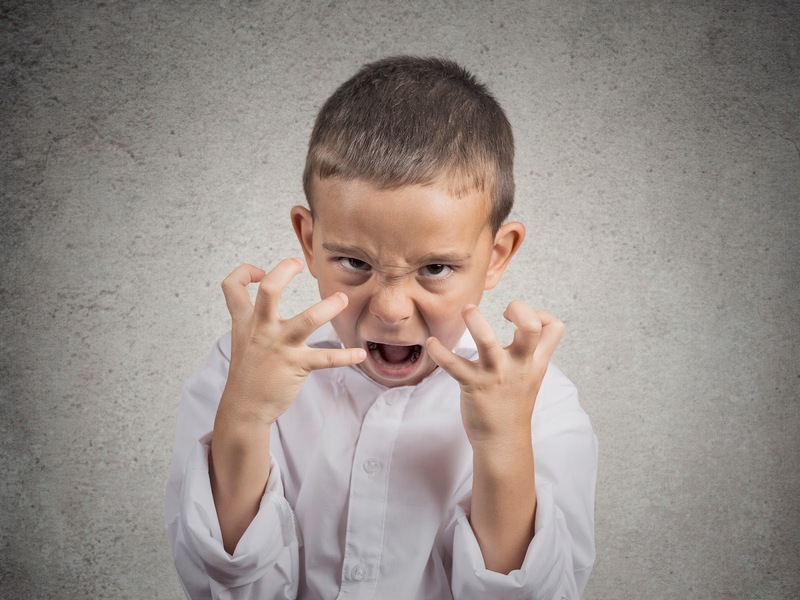 When this happens, our children resort to behaviours that are seen as challenging, maybe they will hit out at those around them - this might be to try and get the things annoying them to stop. Maybe they will cover their ears or eyes - this might be to try and block out the sensory stimulus that is overloading them. Or maybe they will begin to self harm, bang their heads on the table or scratch themselves - this might be to try and make another sense overloaded to take the focus off their already overloaded senses. If behaviours are indeed a meltdown and occuring due to sensory overloand, no amount of sanctions or rewards will stop this behaviour from happening. When the behaviour happens the child is no longer in full control of their actions. However, there are still some things you can do to support the child and to decrease the amount of meltdowns and challenging behaviours that occur. Record - make a record of what happened. It is best to record what time it was, a brief account of what happened. What was happening before the event and what happened after the event. 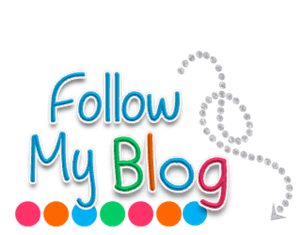 The aim of recording is to try and work out if there are any triggers for the meltdowns or if there is anything that happens afterwards that helps the child to become calmer and regain control. Reduce Triggers - if from the recording and observing you have worked out that there are certain triggers for meltdowns to occur then you could work to reduce or avoid those triggers. For example, if you have seen from your observations that loud noises are a trigger and the child is upset by loud noises, then you would try to avoid situations where loud noises may be likely to occur, such as activities involving fireworks. You may also try to lessen the loudness of any loud noises, for example, if you had a very loud door knocker on the door you might replace it with a more gentle doorbell to reduce the likely noise from this. Coping mechanisms - despite everyone's best intentions, it is impossible to avoid all triggers. This means that at some point the child you're supporting will experience sensory overload. As you know this is likely to happen, you can support your child to use coping mechanisms to help themselves when this inevitably occurs. For example, if you know that loud noises will be a trigger to a child then you might explain to the child that they need to carry ear defenders and put these onto their ears to block the noise when loud noises start occuring. You may also support a child to explain that in the event they don't have ear defenders they could put their hands over their ears to temporarily block out the sound and move to a quieter place. You need to work out that coping mechanisms will work for different triggers and then support the child to learn to use these gradually. Calm Down Techniques - there will always be times when a meltdown occurs despite trying to avoid this happening. When a meltdown occurs it is best to try and find methods to support the child to regain their calmness while limiting any behaviours that might hurt or break anything. So for example, if a child often becomes upset and starts banging their head, then you may want to have an area set aside with soft furnishings like cushions or bean bags so that they are unlikely to hurt their heads when doing this. If you know that they like soft lights or music then you may want to have soft lights or music in the area to help the child calm down. During the meltdown is not a time to discuss the behaviour with the child, they are not currently in control of their behaviours and they are already so overloaded that they are unlikely to be able to express themselves or explain things to you let alone be able to take in anything you are saying to them. Now is the time for calm reassuring words and comforts. Discussion - after a child has had sufficient time to calm after a meltdown - wait. When a child has just reached calm they are still feeling the effects of the adrenaline and fright that has gone through them during their meltdown. Discussing the incident with them at this point might lead to them getting upset and going into another meltdown. So once a child appears calm always wait a bit longer before discussing the incident with them. Once they are calm ask them to explain what happened and why they were upset. The information they give might help to feed into your recording and help you to spot triggers you might not have realised were upsetting the child. You can also discuss with the child any coping mechanisms they could have used and remind them that they need to try and use them next time this happens. But what if the behaviour is not a meltdown? What if it is a chosen behaviour? Alternative ways to communicate - support the child to explain what they want without using behaviours to do this. For example, you might remind the child that if they want something they can ask for it, or provide the child with picture cards if they have limited verbal communication. Provide more of the thing they are trying to get - so if the child is wanting time with a particular toy, proactively give them more time with this toy before they choose to use challenging behaviour to try and get it. However, give them clear time limits and warnings of when their turn is going to end. Give them appropriate ways to get out of things they don't like for short periods - if you know a child finds a certain activity difficult and doesn't like it, give them an appropriate way of getting out of the activity for a short period. This allows them to take a break without disrupting the activity for others. You might tell them they can ask for a break, or you might give them a 'take a break' card they can give to an adult to leave the activity for a few minutes. You might use a timer and set an amount of time they can leave the activity for. 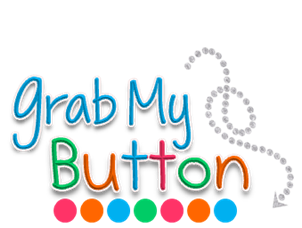 Rewards - help children to understand when behaviour is appropriate by rewarding this behaviour. The rewards don't have to be big like toys or stickers, simple praise is a big motivator for most children. So if a child is at an activity you know they don't usually like then you can give them some praise for being there and joining in. You might also use a reward if a child does something for a specified time, like if they stay at an unfavoured activity for five minutes then they can have two minutes at a favoured activity. Sanctions - sometimes sanctions are necessary. However, I think the best sanctions are natural consequences from the behaviour. For example, telling a child they will now have to write 100 lines is not a natural consequence from them hitting a friend during play or throwing all the colouring pencils aroumd during an art lesson. A natural consequence is something that happens because of the behaviour. So for instance if the child hits a friend while playing, they might have to sit out of play for two minutes because they are not playing gently. If they have thrown the colouring pencils around during an art lesson then a natural consequence would be having to spend two minutes after the lesson missing their recess to pick the pencils up again. Personally, I think consequences work much better as they naturally explain to the child that the behaviour isn't helpful to others and also not to themselves. Not everyone will use all of these techniques as not all will work for everyone. Some people don't like using rewards and sanctions as they feel that these are extrinsic motivators for children and once the adults no longer support the child they will return to their old behaviours. Instrinsic motivators are better as these are motivations that come from within the child and will always exist. However, personally I think a mixture of the techniques helps overall. Using rewards and sanctions occasionally help to teach a child which behaviours are appropriate and which aren't. However, this is all a learning process for everyone. No one can work out whether a behaviour is a meltdown or a chosen behaviour 100% of the time. We all get it wrong once in a while, and even when we get it right, we don't work out what the best course of action is in every instance. It is okay to get it wrong and it is okay to keep trying and keep observing to try and support the child more as you continue working with them. Picture the scene, you've just started teaching a new class. You have spent time over the holidays putting up displays to go with your new topic. Word walls and working walls, all backed neatly with pretty borders - a nice learning environment for the students. You've put out trays at the front with all your resources for the first week. 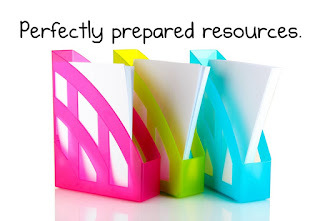 Trays of work sheets, trays with question cards, games, arts and crafts materials and anything else you could think of that your students might need. The first day comes and everything is going well. 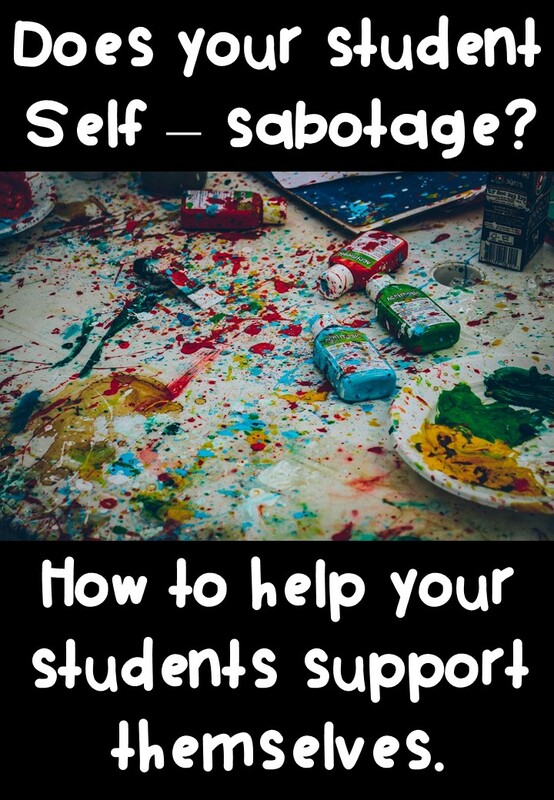 Until a student gets upset and despite you using your best de-escalation strategies the child gets more and more upset until they angrily tear down your displays, tip all your trays of resources onto the floor and begin shredding the worksheets you had neatly put out. You successfully manage to support the child to calm down and to help clear up the mess. You use the school's behaviour policy and enact whatever strategies they have in place for this. But at the end of the day, you're left with a classroom which is no longer a nice learning environment, it's a mess, your resources have been destroyed and you're left with a lot of work to try and redo the displays in time for tomorrow. And you don't even know if this will happen again tomorrow. This article isn't about how to support the child with their behaviour. You will already be on this, and the school policies on this will hopefully support the child. But we all know this is not an overnight process. So what can you do in the meantime? Disempower the behaviour! Change how it affects you and your classroom. Rethink how you back your displays. Can you back them with cloth or vinyl type materials rather than paper so that if they are pulled down they are unlikely to rip and can be more easily put back up? Do you even need to back them at all? Are the boards covered in felt which would be good enough as a backing? Rethink what you put on to your displays. Can you make the displays so that they are up for longer and so you can laminate the pieces that go on to the display? This would mean when they are pulled down they are unlikely to tear and can be put back fairly easily. If you like to put children's work onto the display consider using blutack to fix these onto laminated backing cards. This will mean if they are pulled down they are less likely to tear and may even be pulled down while still attached to the laminated backing card. You could also consider photocopying children's work and putting up the photocopy and keeping the original in a safe place so that it can be photocopied again if necessary. Make use of high shelves and lockable cupboard storage for resources you do not need immediate access to. 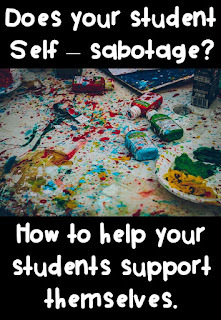 Ensuring that your resources for the afternoon lessons or the rest of the week are safely stored away means that you can relax knowing that in the event of student becoming destructive your whole week's worth of work won't be destroyed. Use decoy bundles of papers in strategic places that you know can be destroyed with no impact to yourself or the other students. Scrap paper from the printer area can be used for this. 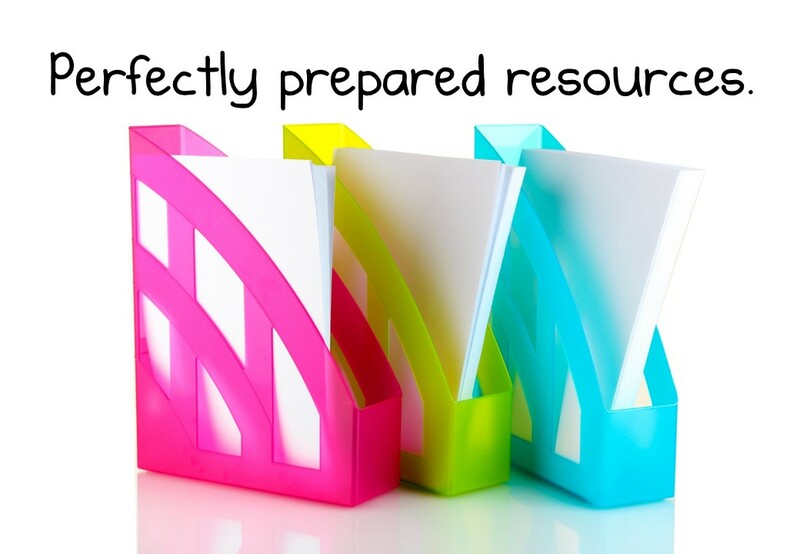 Bundle it up into a tray as if it is going to be used for a lesson and place it closer to the student than any resources you need for the day. 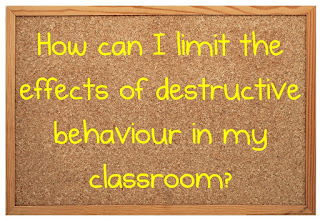 That way if a student becomes destructive the likelihood is that they will aim for that pile first giving you time to move any other trays of worksheets or resources into a cupboard is necessary. Have students do their work on separate sheets which are then glued into their books or filed into folders. That way if a student destroys their own work you will only lose one piece of their work rather than an entire book of work from the year. These strategies will not change the student's behaviour but they will hopefully help the behaviours to have less of an impact on you, your classroom and the other students. 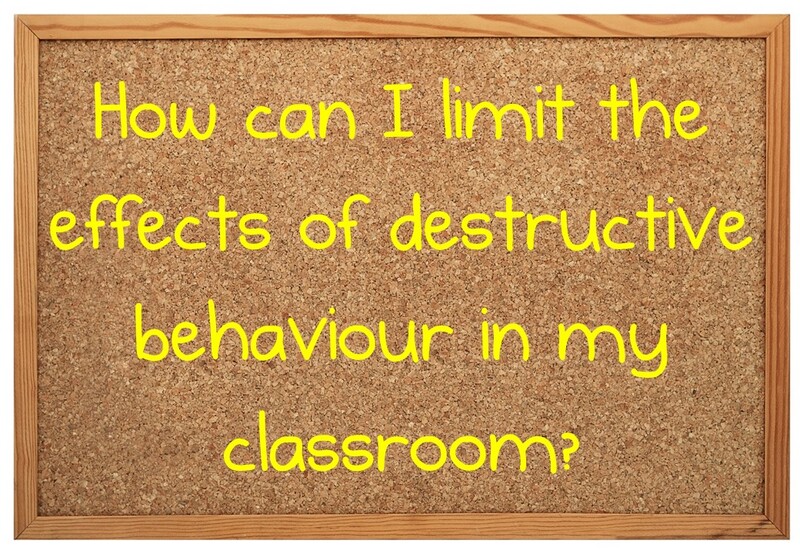 Share with us in the comments any strategies you have used to try and decrease the impact of destructive behaviours in your classroom. With the recent news that a professor of surgery has warned new surgery students have lost dexterity in recent years, working on fine motor skills becomes even more important. It is especially important that those of us working in early years and primary education work on this and strengthen the hand muscles so that children can first be as independent as possible but secondly have the dexterity they need for future careers. 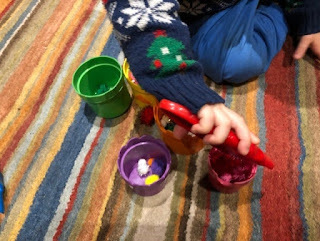 So, with that in mind here are some fun Christmas based activities I have been using to support my children working on their fine motor skills! 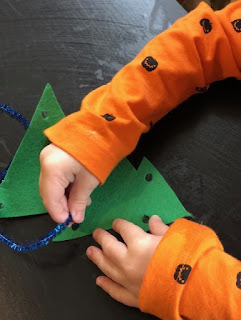 Use some felt to cut out Christmas tree shapes and a hole punch to make some holes. 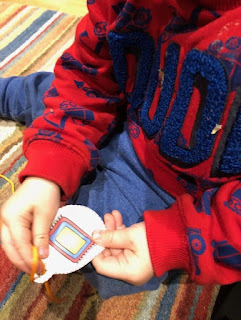 You can either do this prior to the activity yourself or have your children work on their cutting and hole punching skills alongside their threading skills! 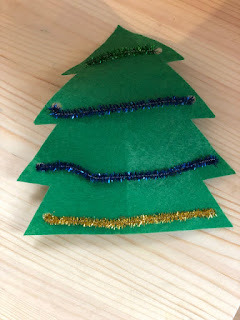 Then provide some bright sparkly pipecleaners and let the children thread them into the holes to create tinsel decorated Christmas tree decorations. 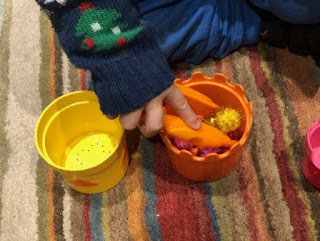 Simply give your children some jumbo children's tweezers, multi coloured pom pom balls and some cups to sort them into. Then let them use their fine motor skills to pick the pom poms up and sort them. 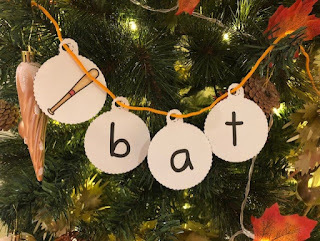 Cut out and hole punch the baubles with pictures and letters on. Then have your children lace the letters together with a picture to spell the CVC word. You can of course have the children cut the baubles out themselves if you want to work on scissor skills as well as threading skills. Once they have completed the words they can then hang them up to decorate a Christmas tree or a classroom. Imagine the scenario... You've told your class that if they have a good week, complete their work to a decent standard, behave on the playground and are kind and considerate to one another that there will be a class reward at the end of the week - perhaps a disco. Everyone is doing great and on Thursday you remark that it looks like everyone is going to be going to the disco tomorrow! Then during the lunchbreak one your students is told off in the dinner hall for a minor misdemeanor. You remind him that he must behave or he won't be able to come to the disco tomorrow. This results in his behaviour spiralling out of control. He trashes his work, scribbles all over another student's work and refuses to listen to basic requests. Finally, you're forced to tell him that he won't be attending to the disco tomorrow. Your student sulks but the spiralling misbehaviour that has been going on this afternoon stops. You'd be right to wonder what on earth is going on and why your student is behaving like that!? I've had many students in my class who do this to a varying degree. Some will be as drastic as in the above scenario. While others will engage in less obvious avoidance behaviours. It appears to be caused by an array of different reasons - but fundamentally it comes from a place of fear. In my experience, it usually happens when a child is anxious about failing and so instead of putting their all into acheiving something and then having the upset of failing at it they sabotage their progress and ensure that they fail earlier rather than later. So in the example in my above scenario - the boy was frightened that he would lose the treat because of his behaviour, as a boy who has difficulty in controlling his emotions he is aware that it is a real possibility that he will 'lose' and so instead of enduring the pressure to succeed he controls the situation by ensuring that he misbehaves enough to entirely lose the treat and so not have to worry about it anymore. So... what can we do to help him to help himself I can hear you asking? 1) The first thing to do is to ensure that the behaviour target set is acheiveable - you differentiate your lessons but do you differentiate your behaviour plans? Is expecting a child to behave all week to get their treat appropriate for every child? It's likely this isn't the case. For some children, it may be better to have a shorter time span of expected good behaviour before getting reward. So for example, my student in the scenario was given a 'working towards...' card. He could choose a reward that he would have at the end of the day if he received enough tokens. This was much more acheivable for him as he knew he was able to behave for that period of time and the anxiety of needing to succeed was lessened. He also knew it was ok if he didn't succeed one day and that he would be given the chance to start again the next day. Whereas with the disco scenario he knew if he messed up that was it for the rest of the week. 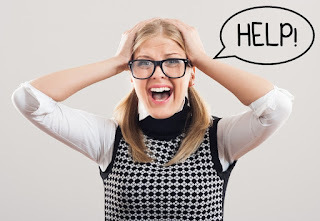 2) Give your student easy ways to communicate to you when they are feeling stressed or anxious. When a child is feeling pressured their ability to articulate their feelings will decrease. 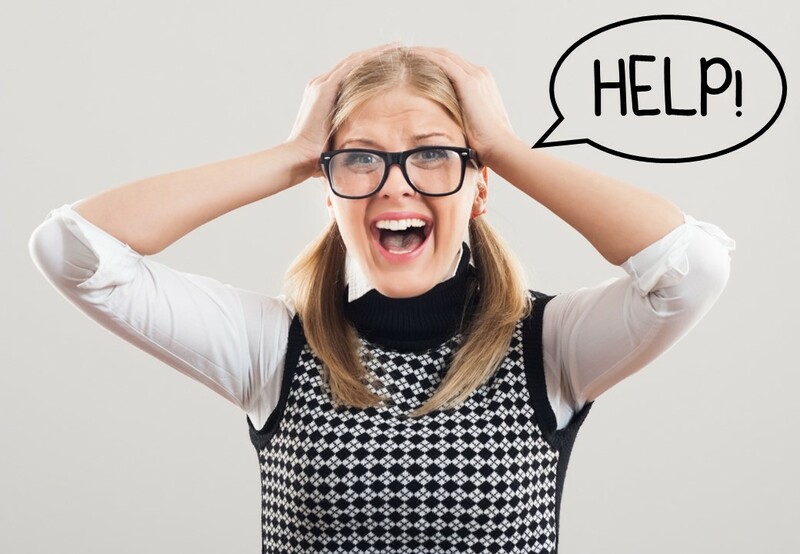 This happens to all of us - imagine a time when you were feeling very stressed - perhaps a job interview - it often happens that an adult will find that the words and sentences that usually come to them with ease are harder to formulate. Now if an adult feels like this in times of stress imagine how much more difficult it must be for a child. The way I try to combat this in my classroom is to have an emotions display with emotions cards. The children all have their picture on the display and can move their picture to the feeling card on the display to communicate to me or our teaching assistant how they are feeling. I also go a step further and give emotions cards to children who particularly struggle so that they can communicate to me without the rest of the class being aware of how they are feeling. All they need to do is hand me the card to show they are feeling anxious. 3) Provide an 'out' for your students. 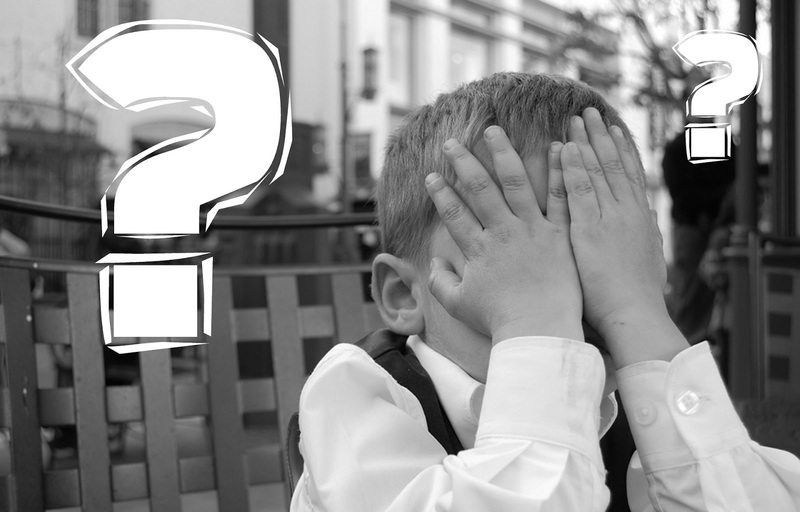 What are your students to do when they feel entirely overwhelmed and feel an extreme urge to misbehave? Do you give them an alternative to misbehaving or expect them to be able to over come the overwhelming urge they have? Most children will develop their own coping mechanisms for when they feel overwhelmed. They may shut their eyes momentarily, count to ten, press their hands together tightly and grimace - others cry or ask for help. But for some children they need to be provided with a coping mechanism to use until they have developed their own. In my classroom I use a quiet corner for this. I have explained to all my children that they can use the quiet corner whenever they feel they need to get away from the class group for a minute or two. The corner is equipped with some cushions, a blanket, some stress balls, and a few books. I explained that if they go and sit there I will know that they are feeling stressed and that I will try to help them. It means that they have a place to go and to calm down before I speak to them and without disturbing the rest of the class. I've found by implementing these strategies that behaviour that sabotages treats and special occasions has decreased. Have you found strategies that work in your classroom? I would love to hear how you reduce this kind of behaviour in your classroom - you can leave comments about your strategies below! 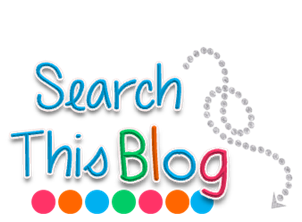 So you have a child in your class who has been seen by the Speech and Language Therapist who has explained to you that she has word finding (or word retrieval) difficulties.You've been given some information by the therapist on how to support her and you've searched for some ideas online yourself. Then you wonder... how do I implement these strategies? Do I need to send this child out for one to one support to work on these strategies or can they be worked on within the classroom? These are all the questions that flew through my mind the first time I taught a child who received this diagnosis and I'm here to explain how I implemented the strategies in my own classroom! First I looked at the different strategies. There was pre-teaching of vocabulary, using prompts of sounds and descriptions for words, and then using games and activities to help the child to refile words so that they were easier for them to retrieve. Then I considered how different strategies could be used inside and outside of the classroom. 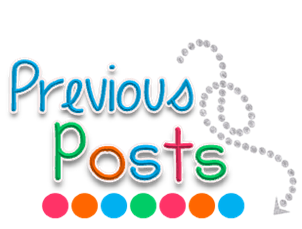 Pre-teaching vocabulary: I found that pre-teaching vocabulary for certain topics was so helpful for the individual child. It meant they had a head start on knowing the words before the topic came up and were more likely to offer up answers during whole class and group discussions. To pre-teach the vocabulary I would make up word mats of the vocabulary which could be sent home. The photograph on the right shows a word mat of vocabulary for our topic on the story of Little Red Riding Hood. I considered the key words that the child would need and used visuals to further support her being able to recall the words when we would later discuss the story. I then had my teaching assistant go over the words with her one to one. I also sent a copy of the mat home with her and explained to her parents that these would be key words in our work the following week on this story. Prompts during class: When it came to whole class and small group discussions I found that the child might still forget the word she was looking for. So I would use the prompts our speech therapist had explained. I would use fill in the blank sentences eg. When asking a question I might say 'Little Red Riding Hood met a ______ in the woods.' and wait for her to fill in the blank with wolf. Sometimes she would and other times she would need other prompts such as 'oh the big scary animal' or 'the animal that starts with a /w/ sound.' These promps support the child to file the word correctly in their mind so that next time they are asked a question they will be able to retrieve the word by remembering the associations that were used to support them to retrieve it last time. 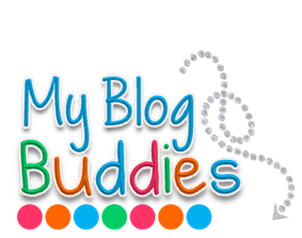 Dual support activities: So you may have only one child in the class with word finding difficulties and think this means you can't pair them up with another child to work on this specific skill. However, this is not true! You can pair children up to work on different skills but using the same game or activity. For example, this game to the right focuses on starting sounds and categories which would support a child with word finding difficulties to practice associating words with both their starting sound and the category they come in. 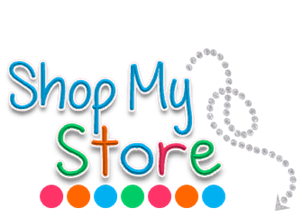 However, you may have other children who would benefit from this type of game such as children who need further support with phonics and identifying starting sounds. There is nothing stopping you pairing these children up to play the same game or do the same activity while targetting different skills. 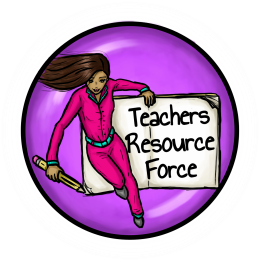 What ways have you found to incorporate support activities into your classroom? If you have other ideas then I would love to hear them. You can leave ideas in the comments section below. Pop-up Science Museum in a bank?! I recently visited Cambridge with my husband and popped into the Barclays Bank branch there to get some cash out of the ATM. To my surprise there were a number of children in the branch gathered around a range of activities! As it turns out, the bank branch has a pop up science museum! It has activities for mixing colours of light and for seeing what the world looks like to people who have different perceptions of colour or colour blindness. There were a number of other little stands with hands on equipment for children and young people to use too but I didn't get the chance to look at it all. How the world is perceived to people with different forms of colour blindness. What colours do you get when you mix the different colours of light? I just can't get over what a fabulous idea this is! Something to keep children's brains busy while they are waiting for a parent at the bank. I love it!